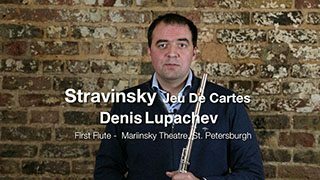 Denis Lupachev is principal flute with the Mariinsky Theater Orchestra since 1998. He was born in 1975 to a musical family. He studied at the specialized school of music of the St. Petersburg Rimsky-Korsakov Conservatoire and subsequently in Paris at the Conservatoire National Supérieur (class of Alain Marion), where he won first prize at the graduation exams. He completed his postgraduate studies at the Musikhochschüle in Munich (class of András Adorján) in 2002. In 1993, Denis Lupachev was a prize-winner at the Virtuosi of 2000 Festival. In 1997, he won the special jury prize at the International Flautists’ Competition in Kobe (Japan) . Then in 1999, he won the Leonardo de Lorenzo International Competition (Italy). 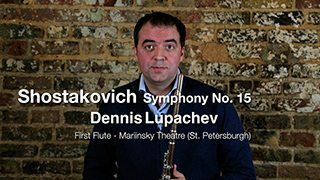 He has appeared as a soloist with the Vladikavkaz Symphony Orchestra, the St. Petersburg Camerata and the Mariinsky Theatre Orchestra under such conductors as Tugan Sokhiev and Mikhail Agrest. Since 2010, he has frequently appeared with the State Academic Chamber Orchestra (Moscow) and the Novosibirsk Philharmonic Orchestra. 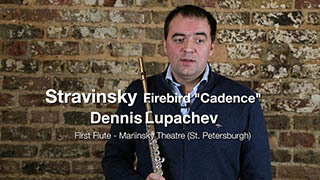 Lupachev regularly gives recitals in Russia as well as in Europe, Japan and the USA, including appearances at music festivals such as the Saimaa Music Festival (Finland) in 2002, Musicare in Reggio Emilia (Italy) in 2001, the Leonardo De Lorenzo Festival in Viggiano (Italy) and Musical Olympus in St. Petersburg (Russia) in 2000. 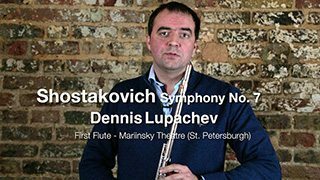 In 2002, he performed at the Stars of the White Nights Festival with the conductor Gianandrea Noseda in a programme featuring Denis’ father’s, Vyacheslav Lupachev, version of Alfred Schnittke’s rarely performed Concerto Grosso No. 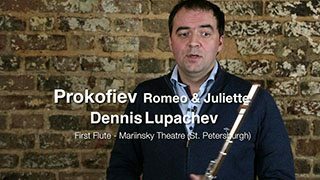 1 for flute and oboe (Alexei Ogrintchouk). 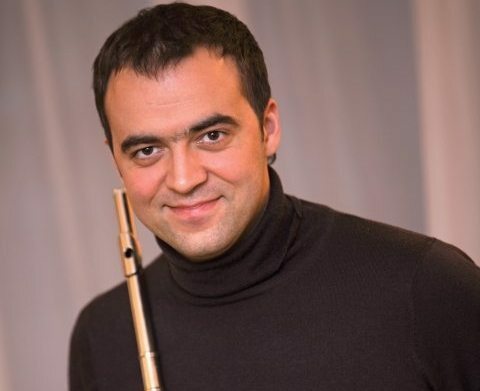 In 2005, together with Boris Tishchenko, he performed the latter’s Concerto for Flute, Piano and String Orchestra as part of the Russian Winter Festival (Moscow).